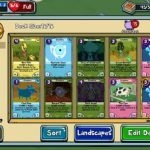 Last time, we offered you some Card Wars: Adventure Time tips and strategies for beginners, but now we’re going to give you some tips that may help you out more if you’re a more advanced player. As we always do, we’re going to give you a brief preview of the game in case this is your first time to read up on it. 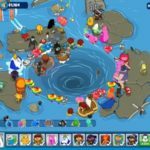 This game is based on the popular Cartoon Network series, and it’s offered by Cartoon Network itself for Android and iOS mobile platforms. You can play as Finn, Jake, Princess Bubblegum, or any one of the other characters from the series in this deck-building game. 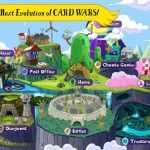 If you’ve been playing the game for some time but need an extra edge, then check the following advanced tips and tricks for Card Wars: Adventure Time right after the jump. 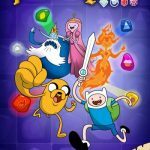 Gems are Card Wars: Adventure Time’s premium currency, and when it comes to spending them, you should resist the temptation to use them to buy more hearts or redo levels you had previously lost. You want to use them instead for opening chests and getting high-rarity cards. And speaking of chests, you may want to move on to the Cool Chest once you’ve gotten yourself some powerful characters from the Algebraic Chest. We should stress mainly on not using your gems to buy new hearts, because your heart meter will refill over time, and there’s no real need to rush things. One of the main mechanics of Card Wars: Adventure Time is making sure all your lanes are full – this prevents you from falling to the enemy’s direct hits. You can do this by filling your lanes with weaker cards, effectively sacrificing them as your first line of defense – they won’t be a big loss anyway, so leave them in there and don’t replace them just yet with more powerful cards. There are several cards that can be crafted in this game, but we’ll give you only a few examples. The Ordinary Ninja Creature card can be crafted from one Woadic Time Walker card and one Ms. Mummy card. Combine one Cerebral Bloodstorm card with one Teleport card and three Wizard Migraine cards and you can get a Psychic Tempest Spell Card. Finally, the Poultrygeist card can be created with one Grape Slimey card and one Wizard Migraine card. The simple reason behind this is because crafted cards can give you a better deck – a much better one – once you’re able to merge weaker cards to create stronger ones. Each battle will unlock new recipes, so take note of them or check out the list we told you about in the earlier tip – you’ll need them as the game progresses and the need to beef up your deck becomes more and more urgent.